Espy is quite proud of her mind-reading abilities, and will boast about them and show them off whenever she can. However, she also has a sense of feminine modesty, and thinking dirty thoughts can easily embarrass or even be enough to defeat her. A pale yellow dog girl with three black eyes lined by dark indigo markings. She wears an orange kimono with red and yellow accenting, along with a blue necklace. She has a tiny, pale orange button nose. Espy can read people's minds, to the extent she can recite their opponents lines before they can even finishing making them. This ability also works if Espy inspirits a target, giving it said ability. Unfortunately, Espy cannot consciously turn off this ability, which leaves her vulnerable to thoughts that can be considered improper. 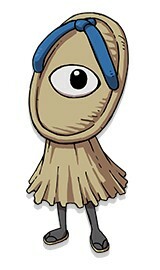 Espy is based on the satori, a dangerous mountain youkai who stalks travelers to prey on them. It can see into people's minds, and will read their thoughts aloud to strike fear into their hearts. One story in particular tells of a satori called Omoi, who used his mind-reading to corner a woodcutter in a forest before devouring him. Fraught with despair, the woodcutter refuged in denial and resumed his work, but his ax hit a large knot in the wood and sent splinters everywhere, hitting Omoi in the eye. Terrified by an event he couldn't predict, Omoi fled back to the mountains, and the woodcutter was saved. 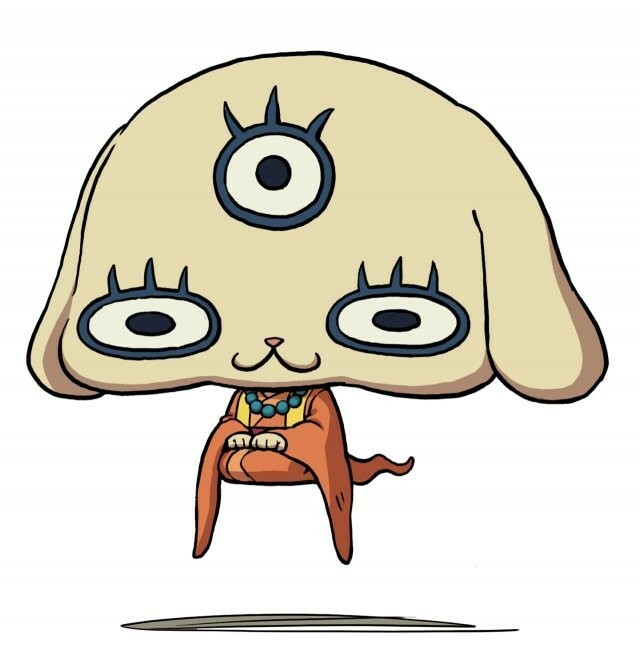 The only difference is that the satori is ape-like in appearance, while Espy resembles a canine.